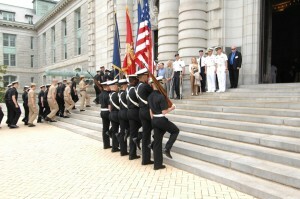 Start your visit to the US Naval Academy by visiting the Drydock Restaurant in Dahlgren Hall. They open at 8:00 a.m. and you can enjoy breakfast sandwiches, coffee, juice or other amenities. After breakfast you can take a tour through our Visitor Center. We offer Group Tours, which need an appointment, or Public Tours that are available first come first serve. After your tour you can walk through and shop at the Gift Shop or take a stroll to the Midshipmen Store. Both offer tax free shopping. As you prepare to see your Midshipmen in the noon formation (uniforms distributed and cleaned through Midshipmen Services) you may want to choose your dining options on the Yard. You can grab a quick bite for lunch at the Drydock Restaurant in Dahlgren Hall, or a more leisurely lunch in The Alley, our restaurant in the lower level of the Naval Academy Club. The Drydock offers great deli style lunches, including sandwiches, burgers and pizza. The Alley offers an a la carte menu as well as a daily buffet choice. After you have enjoyed a delicious meal, take some time to stroll around the Academy grounds, take a tour or shop in the Midshipmen Store. 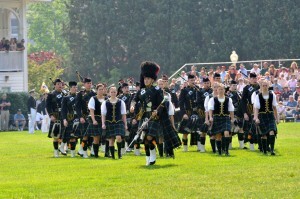 On parade days you can head to Worden field by 4:00 p.m. to watch the full brigade perform. NABSD is proud to be a part of every midshipman’s day to day activities with uniforms, books, barber services and other goods and services for the official performance of their duties. If it was Issued, NABSD provided it and can service it. Before you leave don’t forget to add money to your Midshipmen’s Yard Card Account. Your Midshipman can use the Yard Card in the self-serve laundry rooms, in vending machines at Bancroft Hall, to buy school supplies or clothing at the Midstore or to purchase a late night snack from the Steerage Restaurant. You can add money to the card in one of our three PHIL Machines, in person or over the phone at the Cash Office or online on the Yard Card Account Manager. Learn more about Yard Card Services. Finally don’t forget you can buy from the only online site that supports the brigade of midshipmen with 100% of the proceeds by shopping online at the Official Naval Academy Online web site. Thank you for visiting the NABSD website. Please come again.